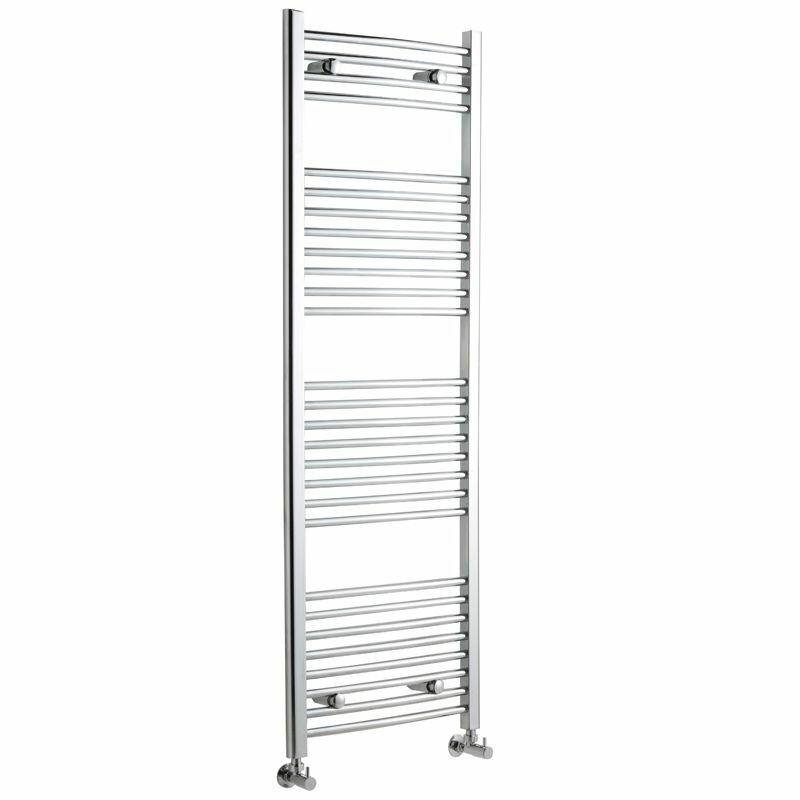 This flat Ladder Style Heated Towel Warmer, with a high quality chrome finish, produces a heat output of 561 Watts (1,914 BTUs), enough to keep your towels warm and heat a small bathroom or cloakroom. 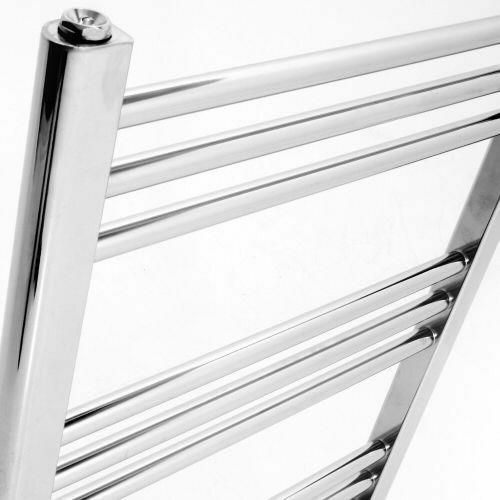 Supplied complete with a fixing pack for wall mounting, this minimalist towel rail has 28 horizontal rungs and provides a functional and stylish centrepiece to any contemporary setting. 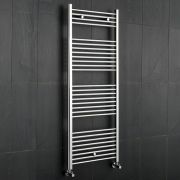 This product is from the Linosa range and has 0.86" bars which give both a higher output and improved aesthetics. 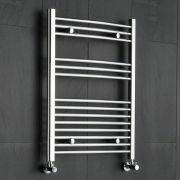 Manufactured by an ISO 9001 registered company. 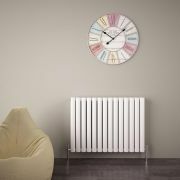 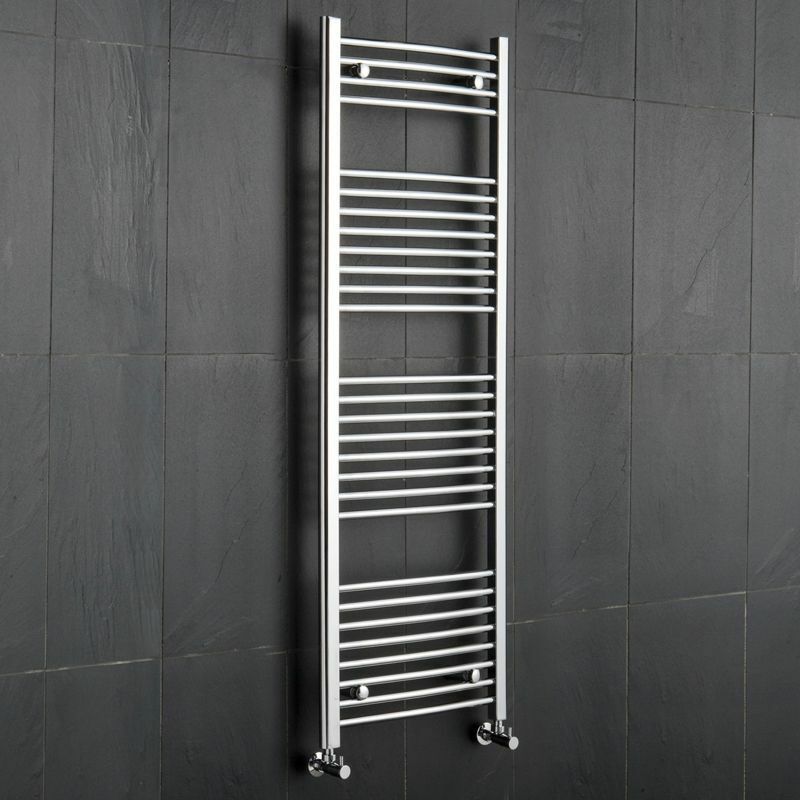 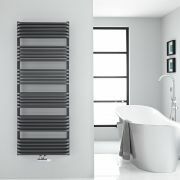 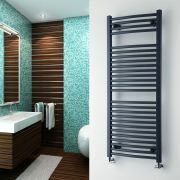 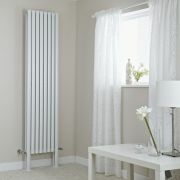 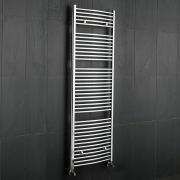 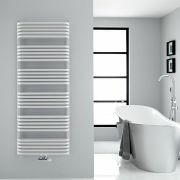 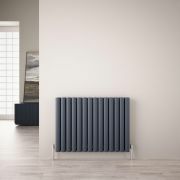 Suitable for closed loop heating systems, the 59" x 19.75" Linosa Heated Bathroom Towel Rail connects to your heating system via the radiator valves included, please choose either straight or angled. 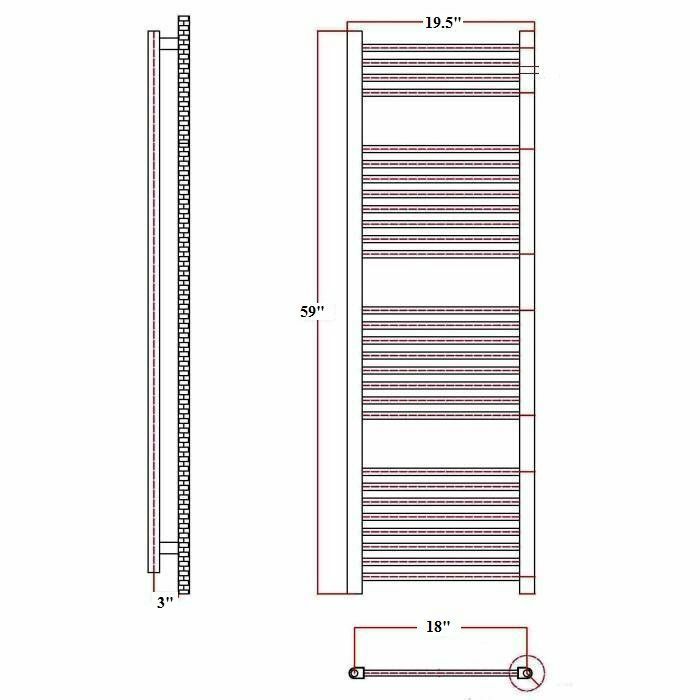 You're reviewing:Linosa - Hydronic Chrome Flat Heated Towel Warmer - 59" x 19.75"